Northern Flags are based in Leeds and specialise in the highest quality custom flags and banners, fabric printing and all other aspects of large format printing for some of the world’s largest companies and brands. We are the UK’s leading Wide Format Printer of Custom Flags and Banners. Whether you're in search for Feather Flags or Selfie Frames, we have all the marketing materials you need to stand out from the crowd. 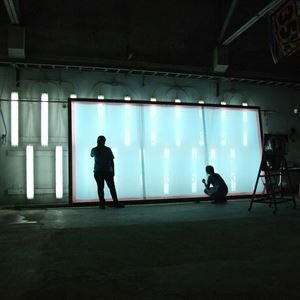 Find a range of custom materials including PVC Banners, Correx Boards, Barrier Jackets, Heras Fence Scrim, Car Window Stickers, and Roller Banners. 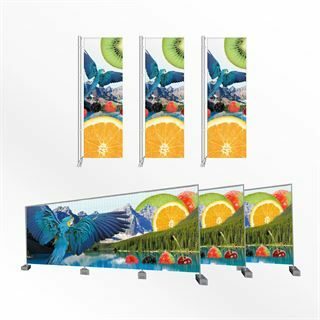 Wide format printing, whether flags, banners or any high quality printed materials are great for a range of purposes. 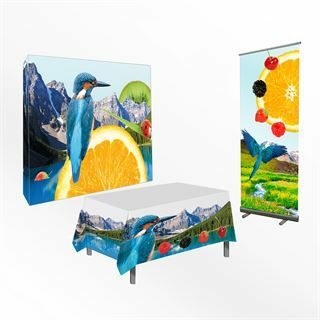 They are particularly great for businesses looking to raise their profile and create brand awareness. They are great marketing tools for events and other areas where it is important to stand out from the crowd. With our printed custom flags and fabrics, your business will stand out for all the right reasons due to the exceptional print quality ensuring respectability for your brand. For those looking for a flag maker with passion for business and design, contact us today on 0113 205 5189! At Northern Flags, we pride ourselves not only in being experts in custom flags and banners, we are industry leading flag makers, but also in being committed to strong branding and investing in industry leading technology. We have a passion for what we do, and this passion empowers us to always ensure our products are of the highest quality. Flag printing within our international production network is always completed using industry best tools. 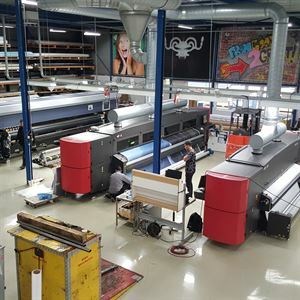 We have a state of the art factory here in Leeds but also have sister companies for specialised products or extra large quantities such as screen printed flags and banner printing, super wide format digital print and custom flags and fabrications. Call our team if you cannot find the display items you’re looking for and we will be pleased to help. The combined group employs over 700 people with high capacity production hubs in Thailand, Poland, France and Holland. We specialise in ‘just in time’ production for many of the world’s largest companies ranging from multinational brands, some of Europe's largest print management companies, advertising agencies, sports and event management companies. We have been responsible for delivering branding and event marketing for major events such as Euro 2012, London 2012 Olympic Games, Commonwealth Games, as well as smaller events such as marathons. We pride ourselves in delivering the latest innovations combined with industry leading print quality at competitive prices by taking advantage of our vast economies of scale whilst still maintaining a friendly personal level of service. 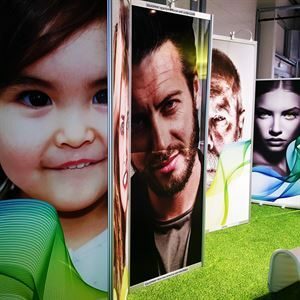 We believe that environmentally friendly banner and flag printing should be a given. We constantly look at new printing technologies, new substrates and new inks to guarantee that we offer eco-friendly recyclable products to our clients. Our dedication to innovation and our constant research and development enables us to provide our clients with products that don't just suit their needs but also suit the needs of the environment. Further information and records of our ecological and legal considerations can be viewed in our Green Policy. 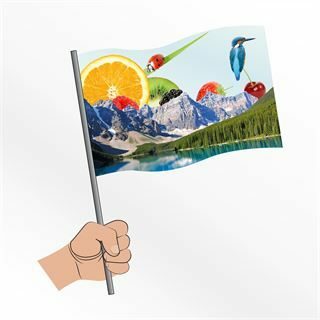 We have been flag manufacturers for over 30 years and are part of Europe's largest wide format print group FaberExposize. 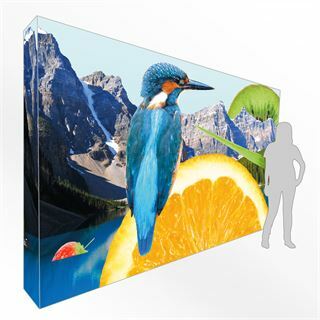 We can also print on PVC, Metals, Woods, Display Boards plus much more. 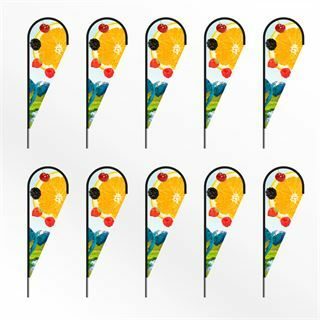 Our core experience in fabrics allows us to produce not just traditional Sewn or Printed Flags, Custom Flags, Feather Flags, Digital Flags, Handwaving Flags, Bunting and Crowd Flags but also many other great promotional items such as Table Cloths, Banners, Event Tents / Gazebos. This expertise is why we are the main supplier to many major Retailers, Sports Events, Charities, Car Dealers and Building Companies. If you have any questions about our print services and how we can accommodate your needs, please get in touch. Alternatively, if you have any feedback after using our services, we’d love to hear about your experience, so we can aim to create the best services and solutions for everyone.